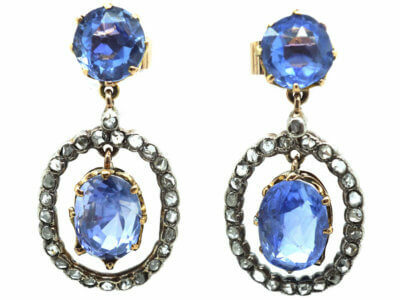 Intense, vivid and velvety, blue sapphires are extraordinary gemstones whose desirability never seems to wane. For centuries these brilliant blue stones were worn almost exclusively by nobility, royalty and clergymen but they are thankfully now available – at a price – to mere mortals too. 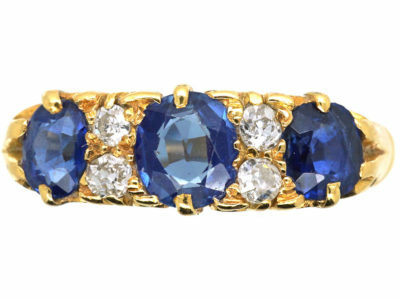 What’s more, measuring 9 on the Mohs scale, sapphires are so durable that synthetic sapphire is used in the manufacture of spacecraft windows and Apple iPhone screens. 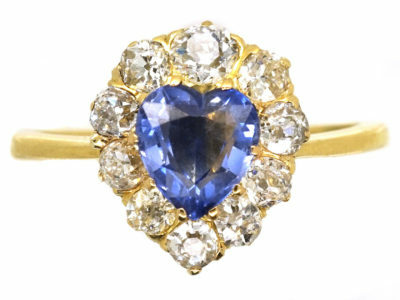 Blue sapphires have long been associated with royalty and romance – a folklore which was reinforced in the 1980s when Prince Charles presented Lady Diana with a huge sapphire surrounded by diamonds as a engagement ring. 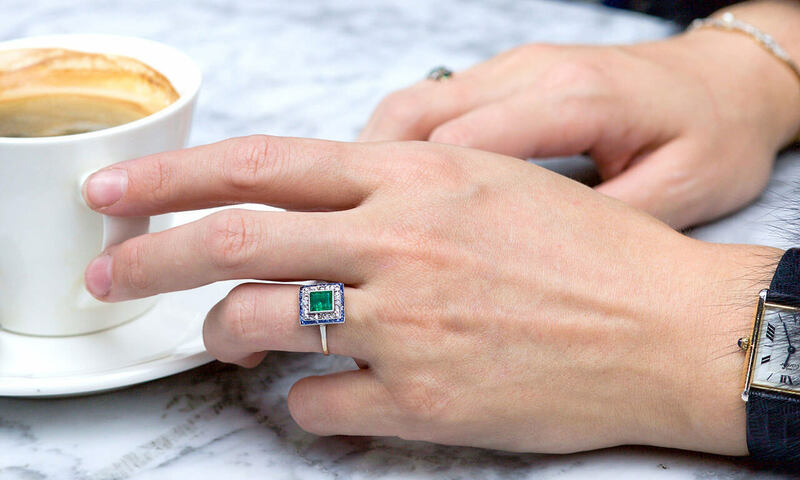 This ring is now worn by the Duchess of Cambridge, whose engagement to Prince William sparked another worldwide sapphire frenzy. 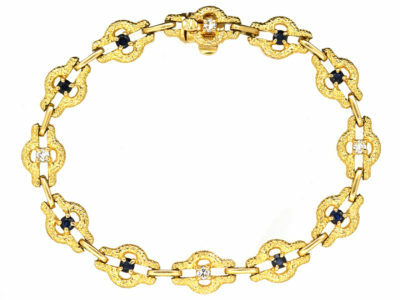 The Catholic church has also revered and worn blue sapphires as a symbol of Heaven. 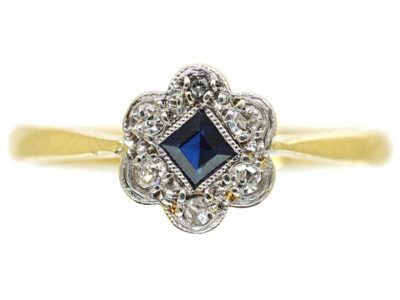 Blue sapphires are the birthstone for September and traditionally given on 45th and 65th wedding anniversaries. 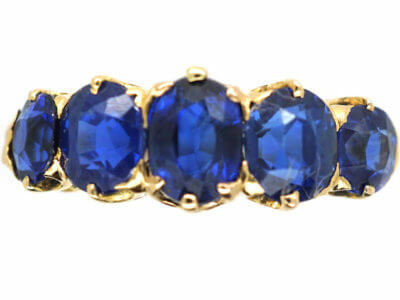 Sapphires can actually come in a wide range of colours. 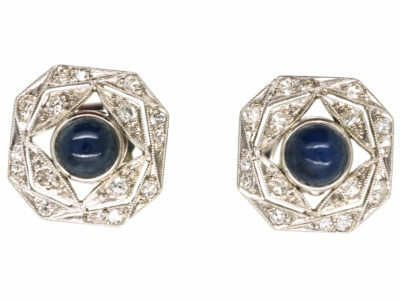 The non-blue sort are known as ‘fancy sapphires’ and became very popular in the 1990s when new sources were discovered in Africa, boosting the existing supply. 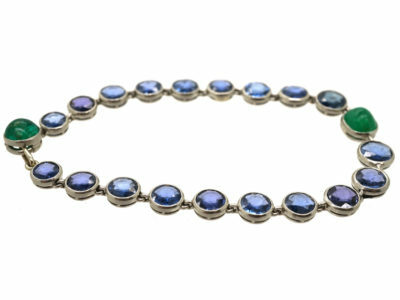 They come in violet, green, yellow, orange, pink, purple and many other hues between. 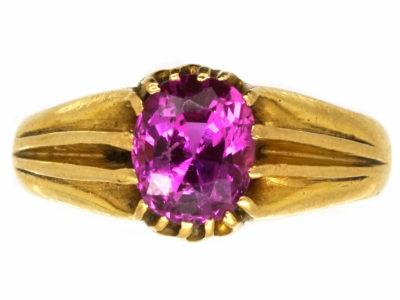 In fact, every gemstone in the corundum family other than ruby red (these are, of course, rubies) are sapphires. 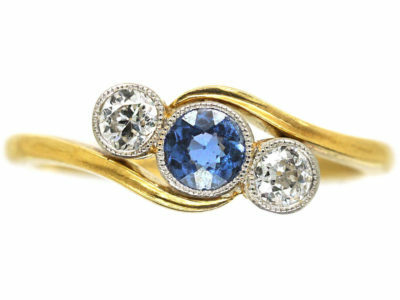 As with many other gemstones, the clarity, colour, cut and carat weight of a blue sapphire all play a part in assessing its quality and value. 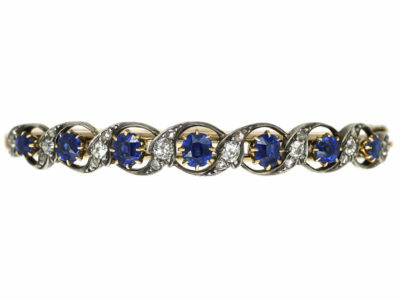 When it comes to blue sapphires, colour is the real make or break. 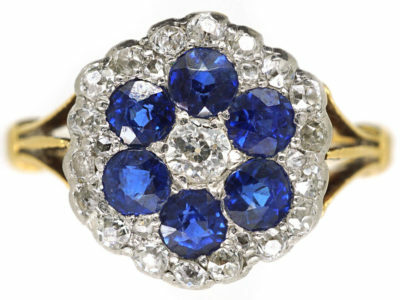 The most desirable blue sapphires (which range between a greenish blue to a violetish blue) are velvety blue to violetish blue. A cornflower blue hue is considered to be extremely desirable. 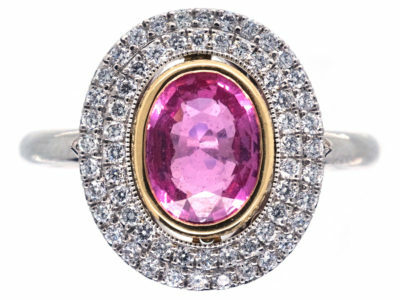 A strong to vivid colour saturation (intensity) is key, while a dark colour which compromises the brightness devalues the stone. 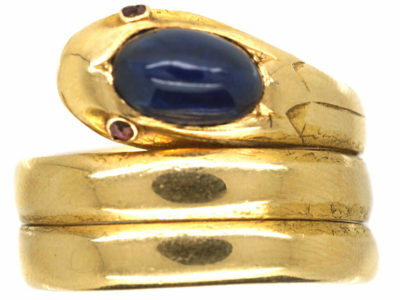 It is common for blue sapphires to have inclusions (internal flaws). 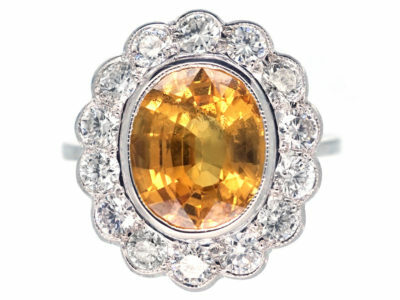 Stones with extremely high clarity are rare and command a higher price. 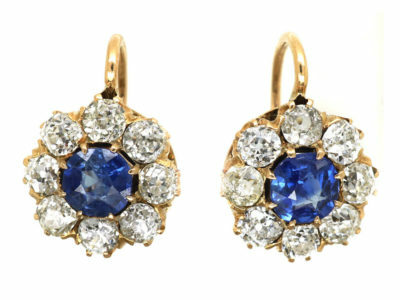 In some cases inclusions are a plus – Kashmir sapphires (considered to be extremely beautiful) contain tiny inclusions which give a rich, velvety appearance to the stones. 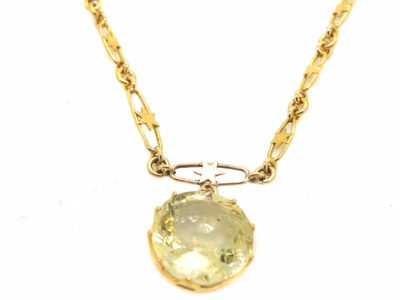 However, if the inclusions threaten the stone’s durability, the value decreases. 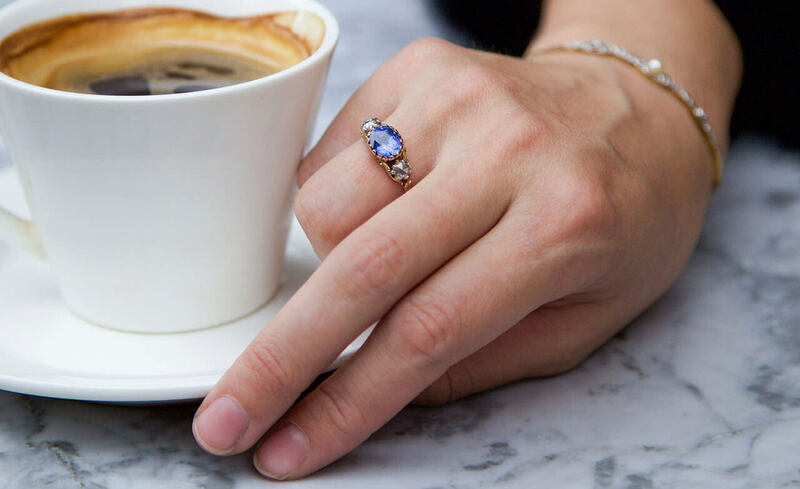 The cut of a sapphire is crucial to its value as it affects the colour and brilliance of the stone, where the shape influences its proportions and carat weight. 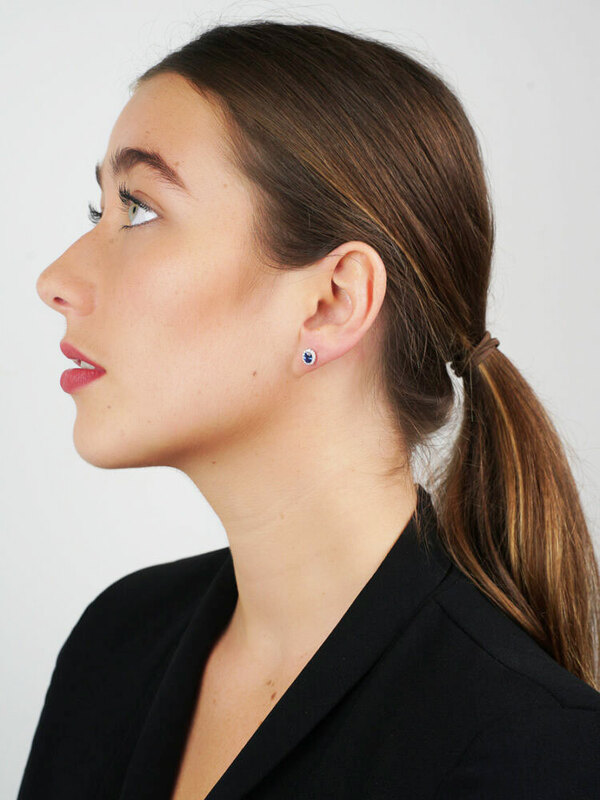 A cabochon cut (smooth, dome shape crown) is the easiest to produce. 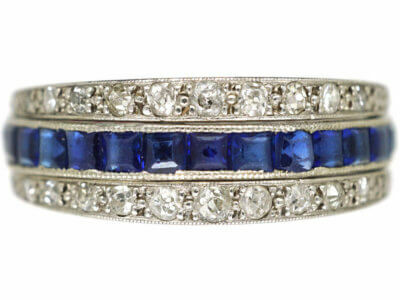 Oval, round and cushion cuts are the most popular for blue sapphires. 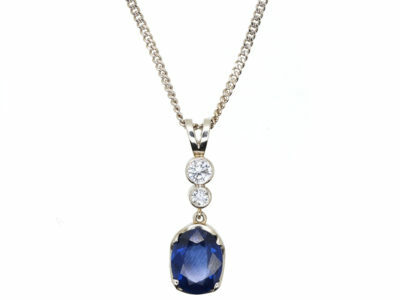 Blue sapphires come in a wide range of weights and sizes. 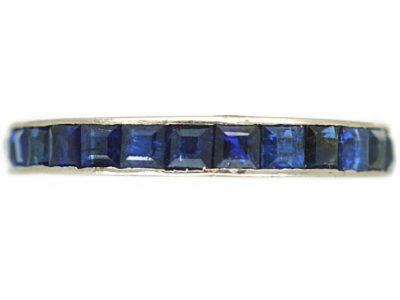 Large blue sapphires are more common than large rubies. 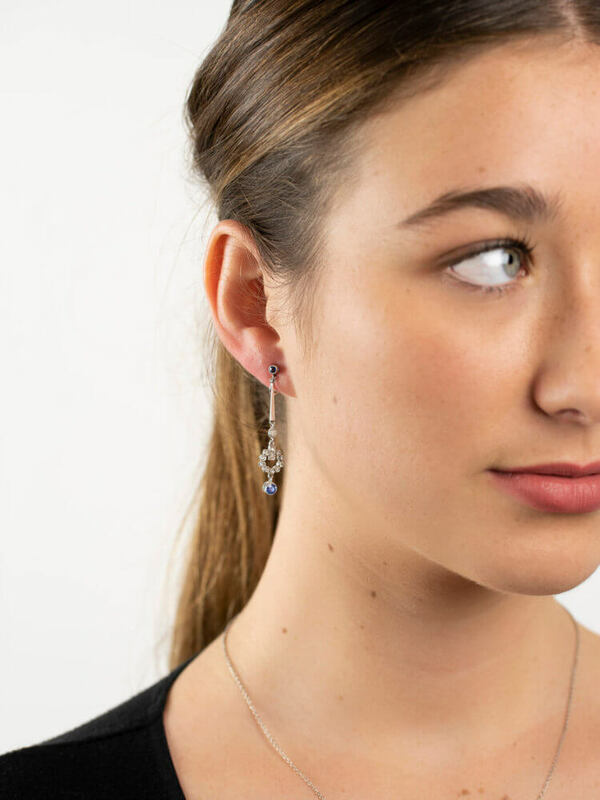 However, most commercial-quality sapphires weigh less than 5.00 carats so anything above this becomes considerably more valuable, particularly if the stone is of excellent quality. 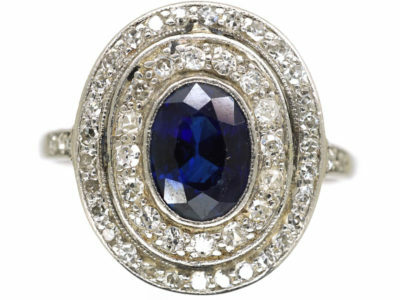 It’s important to ask about treatment when buying sapphires. 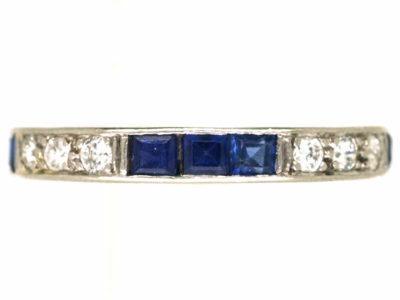 Many sapphires on the market today have been treated by heat or lattice diffusion to alter their colours, but this can affect their value. 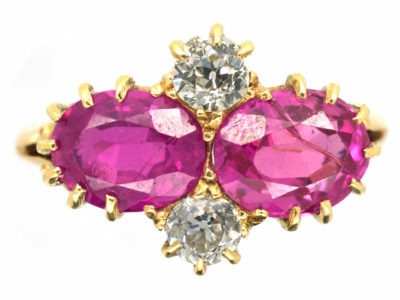 Lattice diffusion can create vivid colour but stones treated this way are less valuable than heated sapphires. 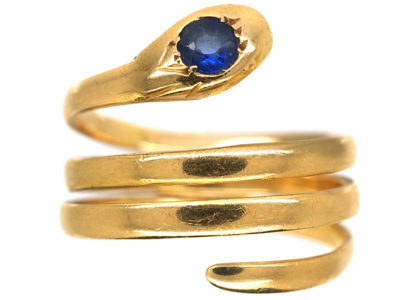 Where are blue sapphires mined? The most famous locations for sapphire mining are Kashmir, Myanmar and Sri Lanka. 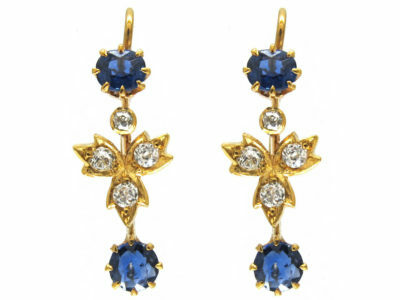 Some of the most beautiful and rare sapphires are from Kashmir, while Sri Lanka has produced the three largest blue sapphires to date. They are also mined in Cambodia, Thailand, India and Vietnam. 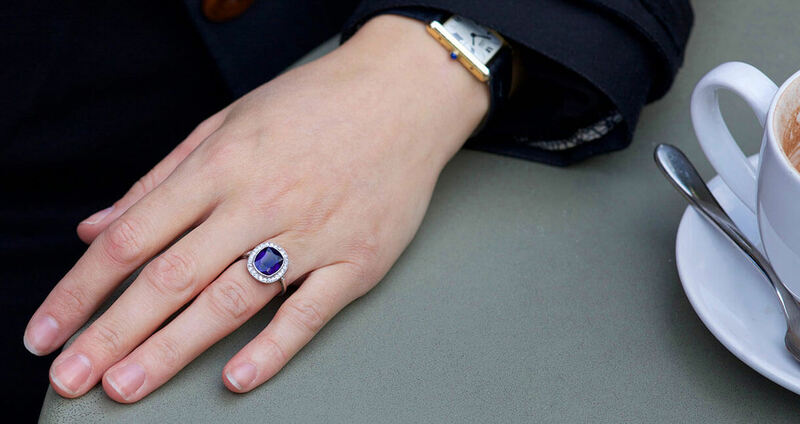 The Blue Giant of the Orient weighs a whopping 466 carats – the largest faceted sapphire in the world. It mysteriously disappeared in 1907 and resurfaced in a 2004 Christies auction.